With “This Is America” quickly taking over the world with its powerful socio-politically message, Childish Gambino‘s album sales recently saw an unprecedented increase in sales. 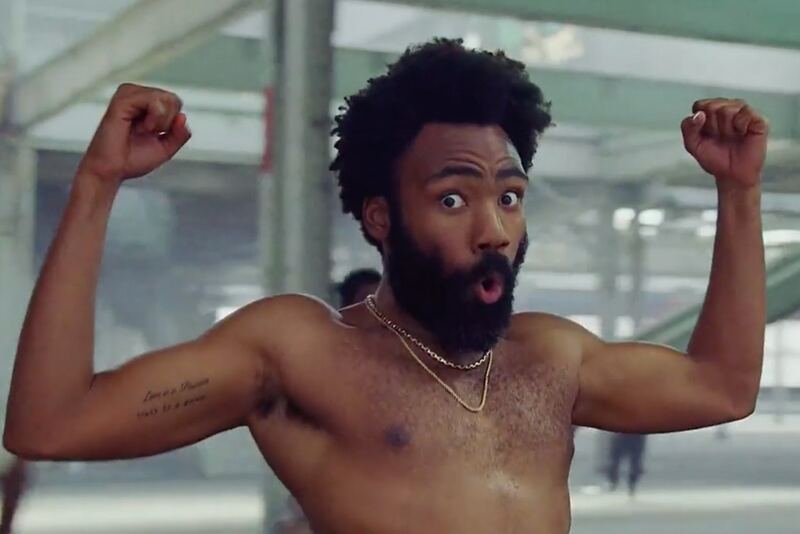 Following the debut of the track accompanied by a Hiro Murai-directed music video, sales of Donald Glover‘s old albums have gone up 419 percent according to Nielsen. With the increase, all three of the actor/rapper’s projects have made it on the Billboard 200, with Awaken! My Love landing at number 45, Because the Internet at number 61 and Camp sitting at No. 197. Sparking a worldwide spotlight on the Black experience, race issues and the gun control debate, “This Is America” is on its way to becoming a cultural moment. Posted in Music and tagged Awaken! My Love, Billboard 200, Camp, Childish Gambino, cultural moment, Donald Glover, Hiro Murai, music video, This Is America, track, world.